When searching for ancestors, it is important to utilize a variety of sources. Census records do not provide information pertaining to birth dates, death dates, marriage dates and spouse’s names. Census records are great for household information, but many individuals are hard to find in census records or they may have been born or died between censuses. Therefore, the researcher must look for other sources pertaining to important vital records. Searches for primary documents, birth certificates, death certificates and marriage licenses usually lead the researcher to local parishes/county courthouses. However, in most cases, the researcher is certain of the state where the event occurred but is uncertain about the parish or county in which the event was recorded. State archives are repositories for state’s documents including government, political, historical and vital records of people who filed an official document in that particular state. When a state agency no longer needs a document on-site or desires a safer place to keep their documents in case of fire or natural disasters, the agency will typically forward documents to the state archives for historic preservation and safekeeping. State archives have specific regulations on using the facility and visitors must abide by their guidelines for the continued preservation and maintenance of records. Louisiana State Archives, a division of the Louisiana Secretary of State’s Office, is mandated to identify, to collect, to preserve, to maintain and to make available those records that give insight to Louisiana’s rich history and to the individuals who resided in Louisiana. The majority of the records in the Louisiana State Archives are from government agencies, as well as donations by private individuals. Family histories, as well as censuses and vital records, provide a great resource for genealogists and family researchers. 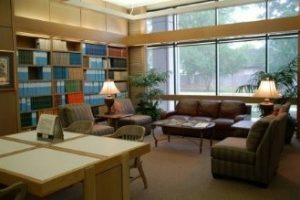 For genealogy research, the Louisiana State Archives has over thirty-thousand cubic feet of records, including general histories, census indexes, immigration schedules, church records, family histories, assessment records, colonial documents, passenger manifests for the Port of New Orleans, military service records, and vital records. 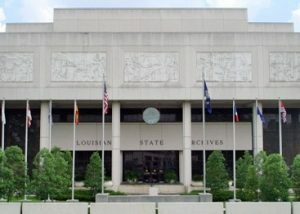 The Louisiana State Archives also provides an online index database to assist in locating vital records maintained by the Louisiana Secretary of the State. The database consists of indexes of Louisiana death and birth records and Orleans Parish marriage records. To search the index database for death records, the death has to have occurred more than 50 years from the end of the current calendar year. To search for indexes of birth records, the birth has to have occurred more than 100 years from the end of the current calendar year. However, birth records prior to 1911 are mostly from Orleans Parish. In 1918, Louisiana required the recording of all births with the State of Louisiana. Photocopies and/or certified copies can be ordered by mail by filling out the required form. There are fees associated with this service. The Louisiana State Archives is open to the public for research and is located at 3851 Essen Lane, Baton Rouge, Louisiana. The hours of operation for public access are Monday through Friday, 9:00 am to 4:30 pm and the first Saturday of every month from 9:00 am to 5:00 pm. Further guidelines for use and contact information are noted on their website at https://www.sos.la.gov.